By Rachael Vickers in Internet. Updated on August 3, 2018 . As a chilling reminder in the horror classic The Shining tells us, all work and no play makes Jack a dull boy. It is for this reason that social media sites have become such an integral part of our lives – offering us a fun and relaxing way to interact with others whilst online. However, since companies first recognised the potential which social media had for their business, the way in which we use popular sites such as Facebook and Twitter has changed irreconcilably. Nowadays online job hunting involves much more than visiting independent sites and users can tailor their social media accounts towards job hunting – but what are the best ways to do this? How you use social media to find a job will depend largely on the type of job you are looking for. Certain sites are better suited to specific industries and whilst all types of jobs are advertised online it is important that you match the social media site to your area of focus. The latest member of the social media club, Pinterest, is an image-based site which allows users to create boards and collections of images which they then shared with others. This site is ideal for those interested in art or media as it shows attention to detail and aesthetic appreciation. To use Pinterest effectively, make sure you keep your collections simple and easy to navigate. 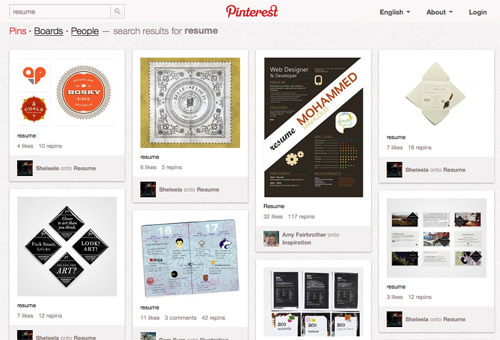 In many ways you can view Pinterest as a photographic CV. In fact, an article by Forbes quote social media educator, Jason Keath, as saying that Pinterest could "be used as a visual resume." Naturally, the same rules over layout and appearance will apply: employers won’t want to read a cluttered CV so they won’t want to view a cluttered Pinterest page either. Follow career experts in your chosen field of employment. These experts will not only provide visual advice, through clever cartoons or motivational quotes, but could also connect you to potential job opportunities. For those still in education, consider following career advisors. Pinterest was responsible for 3 per cent of all referral traffic on the Internet this January. This was more than the amount generated by Google+, Myspace, YouTube and LinkedIn combined (for the same period). As the social media extensive of B2B, Linked-In is naturally the first port of call for social media users looking for jobs in this area. The ultimate professional network, Linked-In offers users the chance to connect with various professionals whilst establishing their own comprehensive employment history. This is a great feature as it enables prospective employers to get an overview of your skills and experience instantaneously. Using recommendations on this site is a great way to seek employment opportunities. The site’s own blog claimed a LinkedIn recommendation is "an opportunity [for employers] to read a reference in advance" – making you a stronger candidate as you are already backed by strong recommendations. According to a study conducted at the end of 2011, 46 per cent of job seekers named LinkedIn as the site responsible for helping them find employment. On top of this, a report from Publicis in 2011 claimed 59 per cent of respondents named LinkedIn as the most important social network. For job opportunities within your local area, Twitter and Facebook are probably the best options. 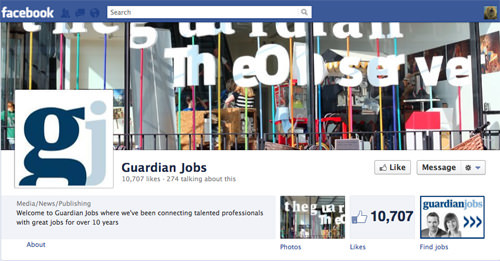 These sites have the largest numbers of users, and sites such as Guardian Jobs will have dedicated pages which you can join and follow – alerting you to new opportunities immediately. Joining relevant groups or subscribing to appropriate feeds is the best way to use Facebook and Twitter for job hunting. There are even numerous groups dedicated to the activity itself, offering advice on how to prepare for interviews and how to improve your CV. 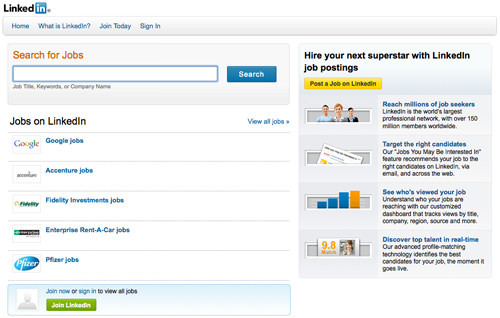 For job hunters, Facebook was named as the most successful social network by a margin of 2:1. On top of this, 50 per cent of Facebook users access the site every day while Twitter claims an impressive 140 million users with approximately 340 million tweets posted each day. While social media is an inherently public platform, the systems come with privacy settings for a reason. Make sure your settings restrict access, where necessary, to avoid embarrassing photos being seen by people who weren’t supposed to see them. Shockingly, most disgruntled employees search for new employment ventures at work. Whether you do this on your lunch break or not is immaterial. Your current boss will not appreciate this use of your time and you could find yourself out of a job earlier than you intended to. One of the easiest ways to get fired in the modern world is to post offensive or slanderous material on social networks. Most companies now have a contractual clause surrounding this grey area of online sharing, so make sure you keep your posts neutral and inoffensive. Editor’s note: This post is written by Rachael Vickers for Hongkiat.com. Rachael is an employment and careers advisor. She has more than ten years experience in helping individuals find employment in the public sector or any other type of work.